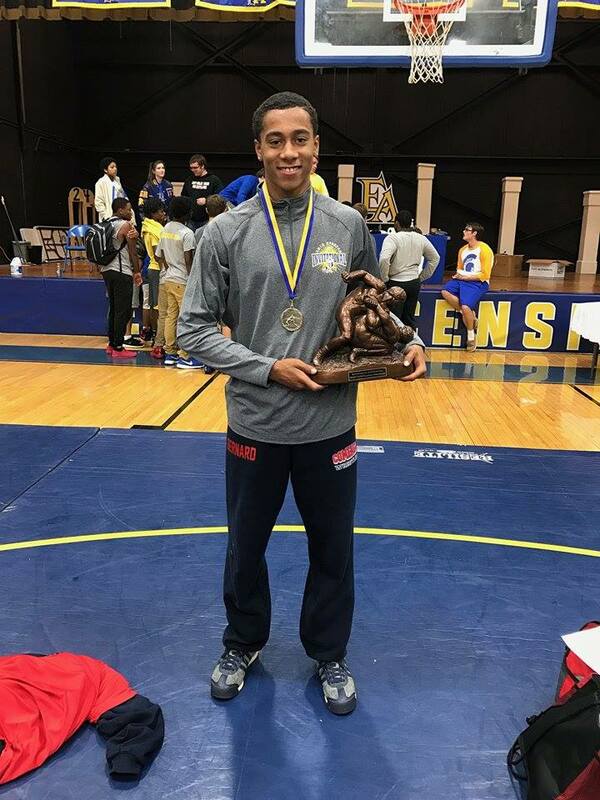 Winning seven championships the Brother Martin Crusaders won their first Louisiana tournament, the Spartan Invitational, held on November 19th, 2016, at East Ascension High School. The Crusaders scored 241 points, giving them a healthy margin of 125.5 points over runner-up St. Amant. Comeaux finished third, followed by Teurlings Catholic and Live Oak. 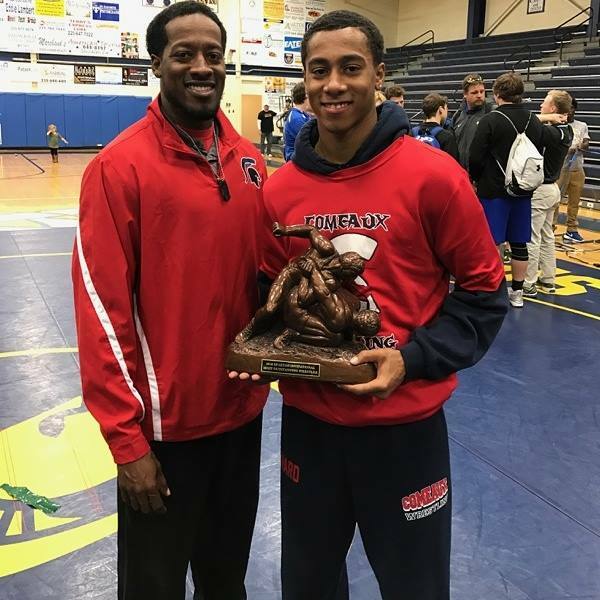 Outstanding Wrestler Dyllon Bernard of Comeaux at 138 lbs. 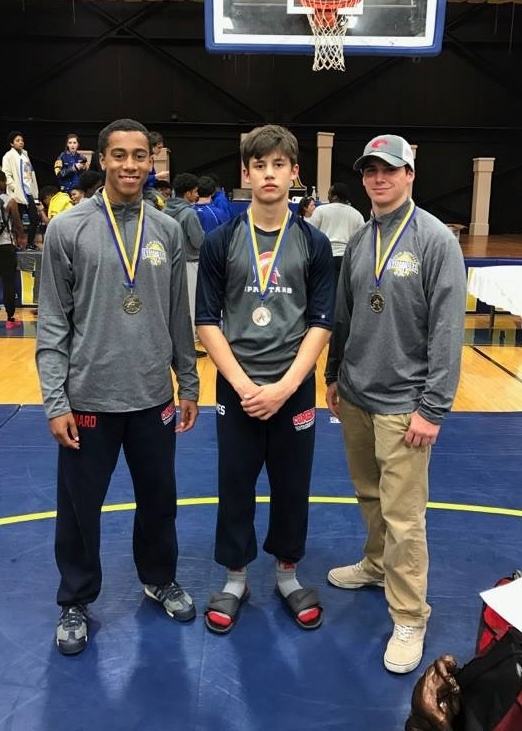 ; Champions Shelby Savoie and Dyllon Bernard flanking Comeaux coach Glenn Bernard; Shelby Savoie (1st), Dylan Ames (3rd) and Dyllon Bernard (1st and OW); Advertiser article on Dyllon Bernard. 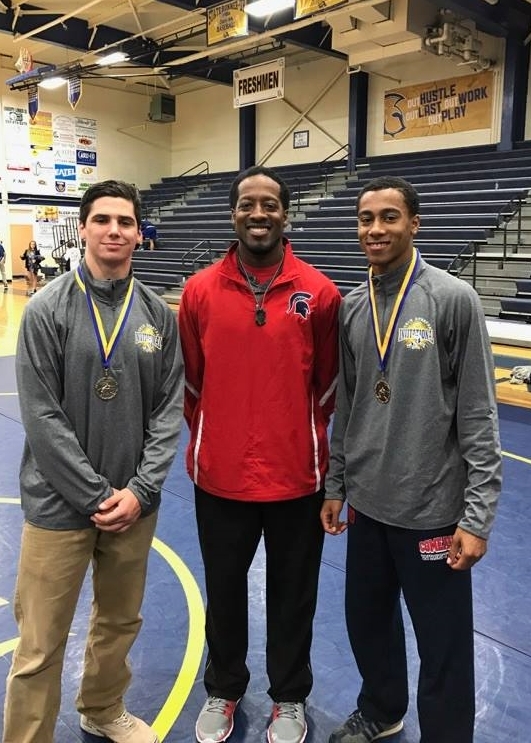 Brandon Revere of Lafayette High School, (right) won the JV Spartan Invitational and Outstanding Wrestler Award on November 18th at 170 lbs. 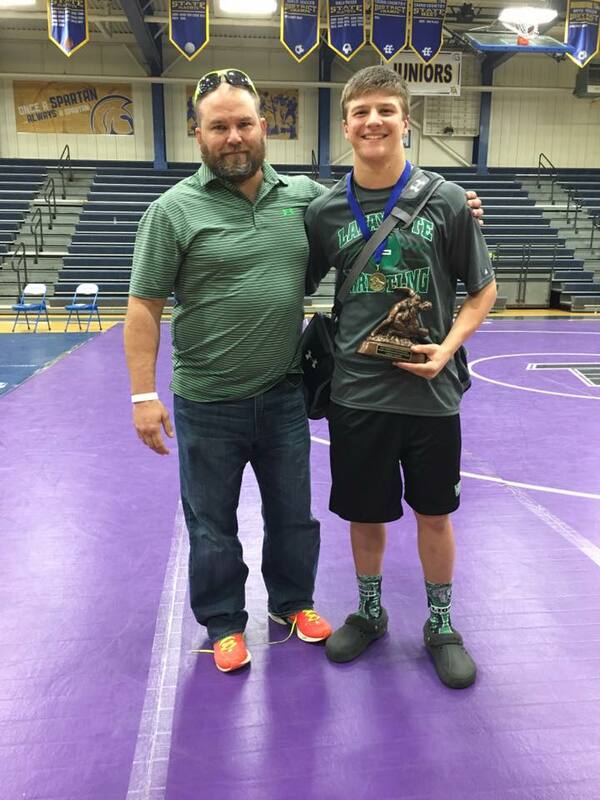 On his left is his father Mike, who won a state championship for Lafayette in 1991.